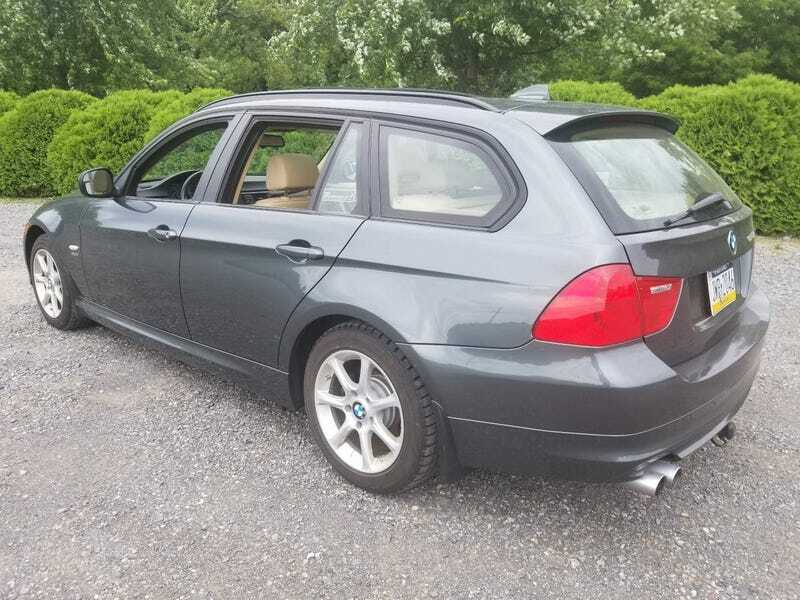 manual, wagon, with the cold weather package (heated steering wheel,and mirrors), panoramic sunroof, a hitch, and 70k miles. all for just 10 grand... with a salvage title whomp whomp. judging buy the awful M stripe grills I’d venture that the damage was up front. they really look horrible. black grills only look good one coupes, and real M3s. I do love that it has 16" wheels for the snows tho. I wanted to do that but found a good deal on used 17"s with tires mounted. if this were RWD I’d consider replacing my e90.